Thank you for your interest in the Tri-County Regional Vocational Technical High School Education Foundation. 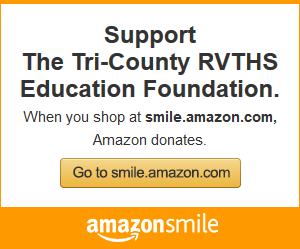 The Tri-County Regional Vocational Technical High School Education Foundation Inc.’s purpose is to enrich and expand programs needed to meet the school district’s stated mission of excellence in education, through community partnerships, public and private, and to generate, distribute, and provide resources to create educational opportunities for students. Looking for a unique way to commemorate the significance of a student, teacher, team or even a whole class? Would you like to honor a loved one, commemorate a special event, or simply show support of a business or friend? What do you buy the person who has everything? Buy A Brick! Help support the Tri-County RVTHS Education Foundation while leaving a permanent impression in Tri-County’s history by having a message inscribed on a brick to create a commemorative walkway in the front of the school. The bricks can be engraved with names or phrases that will serve as an enduring tribute to all participants and leave a lasting impression for years to come. Personalized messaging can be engraved in characters of upper case, lower case, or a mix of both. Tax-deductible bricks also make great Birthday, Holiday, and Wedding gifts too! Looking for a unique way to commemorate the significance of a student, teacher, team or even a whole class? Would you like to honor a loved one, commemorate a special event, or simply show support of a business or friend? What do you buy the person who has everything? Buy A Brick! Help support the … More Building Our Future. Honoring Our Past. Leave a comment Building Our Future. Honoring Our Past.